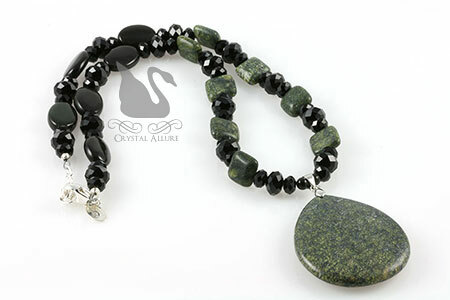 Recently posted is a new one-of-a-kind beaded gemstone necklace featuring a grassy green moss jasper gemstone teardrop pendant, rainbow obsidian gemstones, black jet Swarovski Crystals and onyx gemstones with sterling silver. Necklace is adjustable 16-1/2" to 17-1/2". 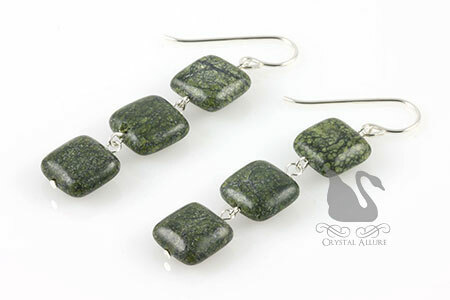 These gorgeous cushion-cut gemstone earrings featuring three dangling rounded-square shaped grassy green moss jasper gemstones wire wrapped in sterling silver. Sterling silver earwires finish this design and earrings measure 1-3/4" from the bottom of the earwire. Get back in touch with nature with these gemstones mined straight from the earth. Moss Jasper helps to balance emotional energy; helps the user to let go of anger and bitterness (so that the emotions are in balance); and strengthens in times of stress. Well, another show is done for this year. I got up Saturday and thought "it's going to be a good show" and then arrived at Union Hill only to have my hopes dashed. Again, not sure whether it is the economy, the lack of a pool of quality designers, or the rain, but the show was slow and there were one too many mass jewelry designers for my tastes. My conclusion: Smaller shows = "mass produced" jewelry which = low costs (because of lower quality materials used...which allows them to price low). I say "mass produced" because although it is handmade, their tables are usually loaded with pieces, but it is clear these individuals are designing jewelry as a hobby -not a business. I usually get a handful of shoppers that comment how lovely my display is -not cluttered, well organized and showcases pieces -not piles of pieces. So, that in itself shows me people are noticing and recognizing Crystal Allure. Hello! Thank you so much for visiting and commenting on abeadaday.blogspot.com!! 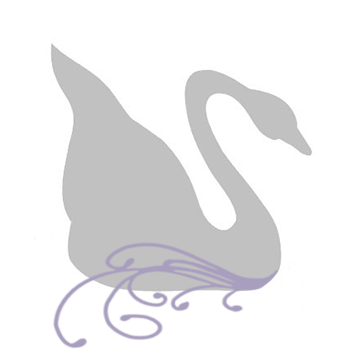 I just love your blog, there is something very calming or peaceful about it. Maybe all the sparkle! Gorgeous!! What a bummer about outdoor shows! I did one in September that was outdoors but fortunately under a building overhang so when it rained we were okay! Hopefully you'll find some good venues and spread the selling through the year.